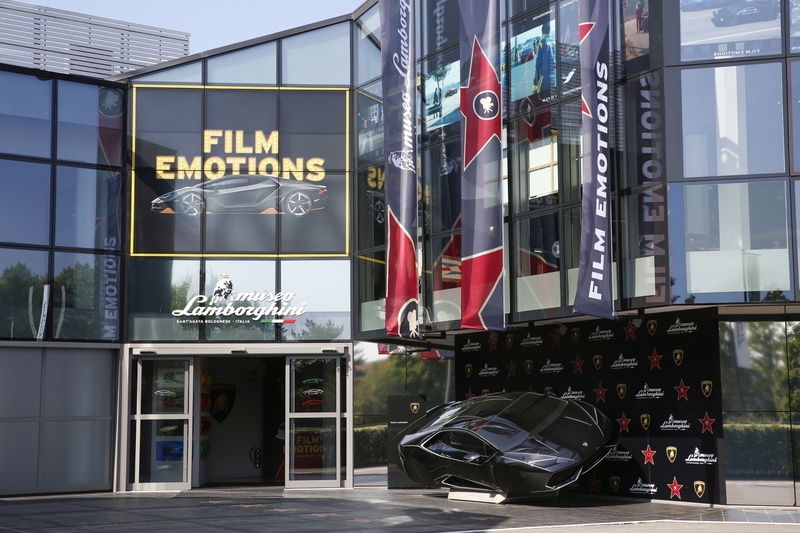 Wish to view all the famous Lamborghini models featured in Hollywood movies under one roof? You're in luck. 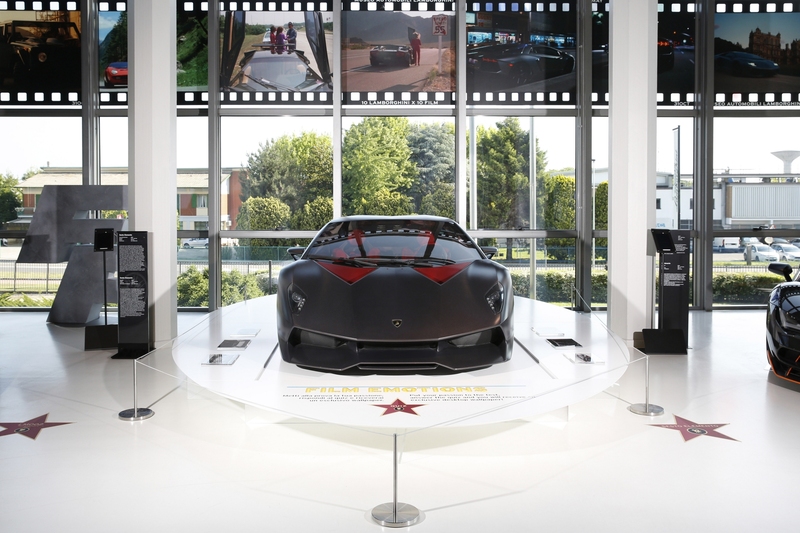 The “Film Emotions—Lamborghini and the World of Cinema” exhibition at the Lamborghini Museum in Sant’Agata Bolognese, Italy has just opened and it features everything from the Miura of The Italian Job to the Aventador of The Dark Knight Rises. 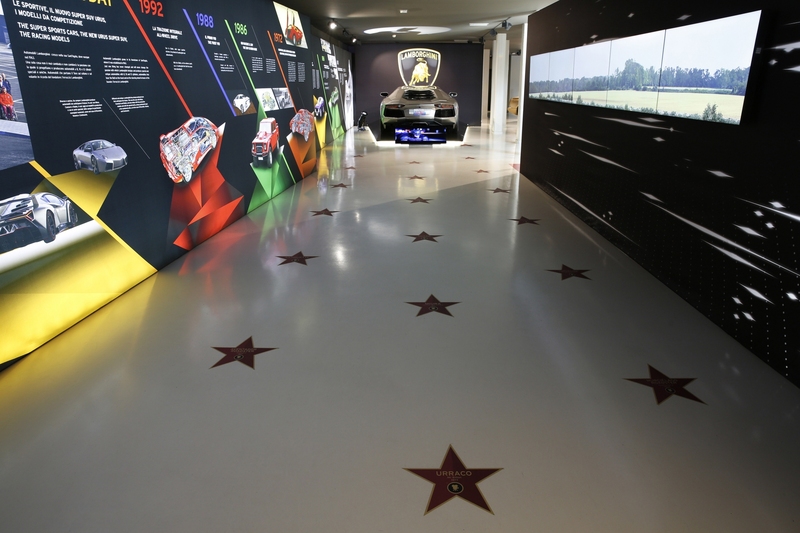 The layout of the exhibition has been inspired by Hollywood Walk of Fame, with a runway-like arrangement of the iconic star cars. 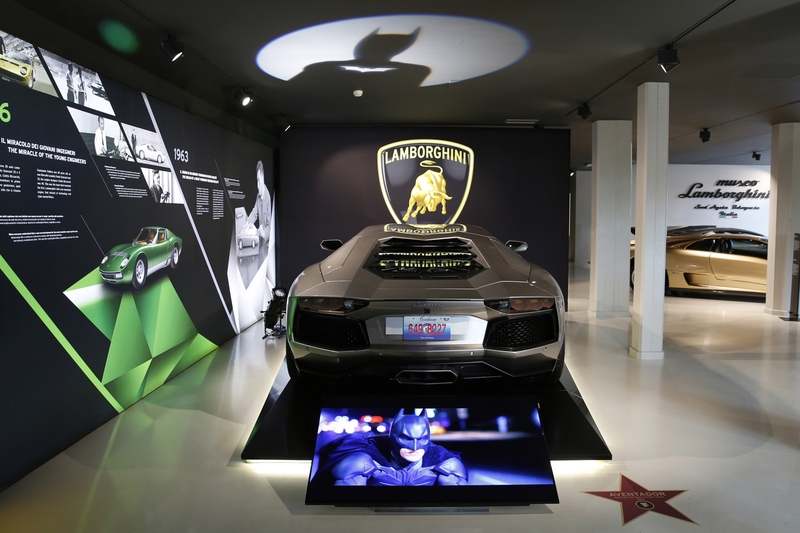 At the exhibit entrance itself you'd find the silver Lamborghini Aventador of superhero Batman used in Christopher Nolan's 2012 movie Dark Knight Rises. Bruce Wayne - played by Christian Bale - is seen driving this Aventador. And that wasn't the first time that a Lamborghini was used by the vigilante tycoon. In The Dark Knight (2008), it was a Murciélago LP 640 that was driven through Gotham City streets. The Roadster also made an appearance in the 2005 movie, Batman Begins. 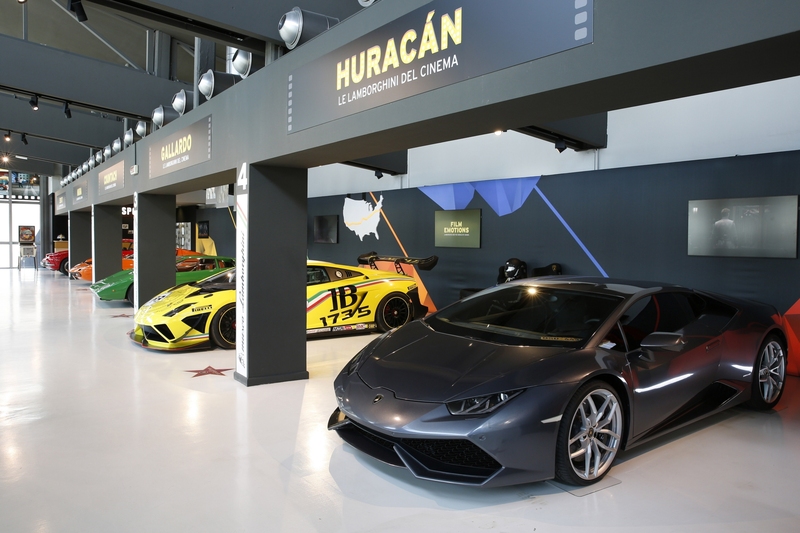 Also on display is the Huracán Coupé in the Grigio Lynx (grey) color driven by Benedict Cumberbatch's character before he became the Master of the Mystic Arts, in the 2016 Marvel movie Doctor Strange, directed by Scott Derrickson. 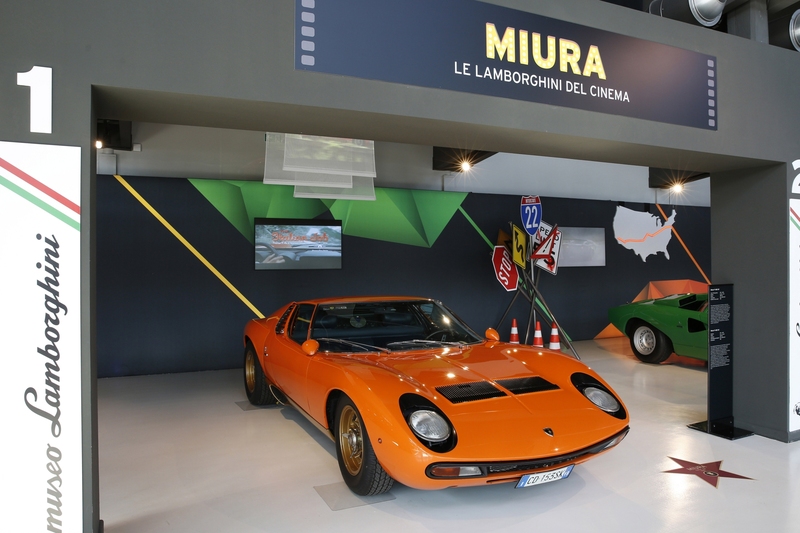 Another highlight is the iconic orange Miura P400, paying homage to the one used in Peter Collinson directed 1969 classic The Italian Job. In the opening sequence, the Miura speeds along the snowy St. Bernard pass with actor Rossano Brazzi at the wheel before it meets with a brutal end. Also showcased is a green Countach reminding us of the opening scenes of 1981 movie The Cannonball Run, directed by Hal Needham. In the movie, the Lamborghini is driven hard on the highways between Connecticut and California and finally, driven to final victory by Jill Rivers (Tara Buckman) and Marcie Thatcher (Adrienne Barbeau). 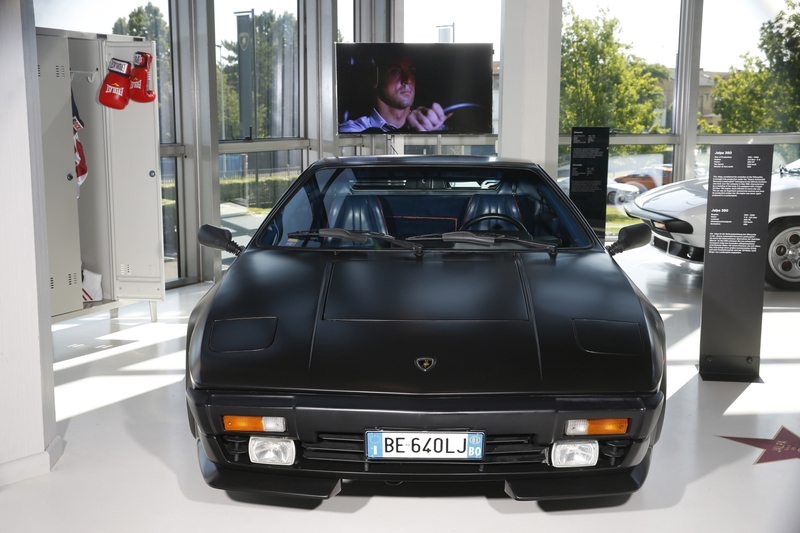 A matte black Jalpa used by Sylvester Stallone in the 1985 film Rocky IV is available to view. You may recall the scene where Rocky talks to his son about the job of the boxer while polishing his Lamborghini. 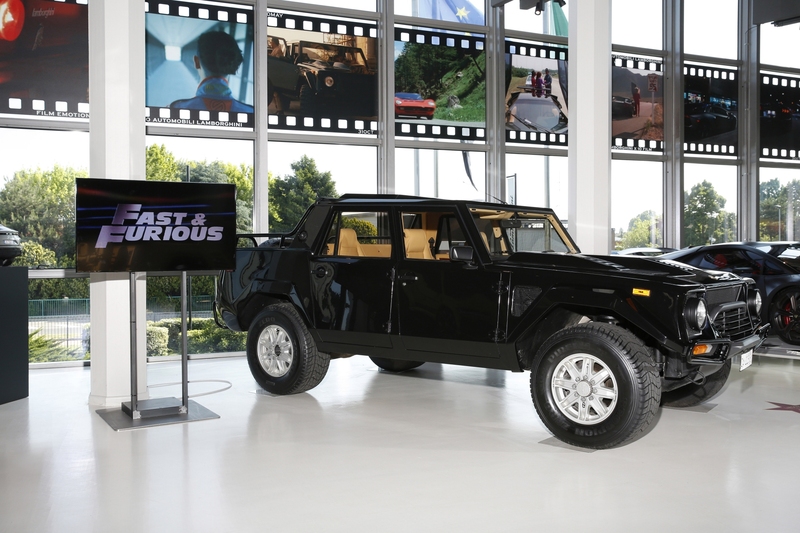 But cars aren't the only vehicles on display; Lamborghini’s first ever SUV, the LM002 is also on shown. The mammoth vehicle was featured in the 2009 Justin Lin directed film Fast & Furious 4 driven by Dominic Toretto, played by Vin Diesel. 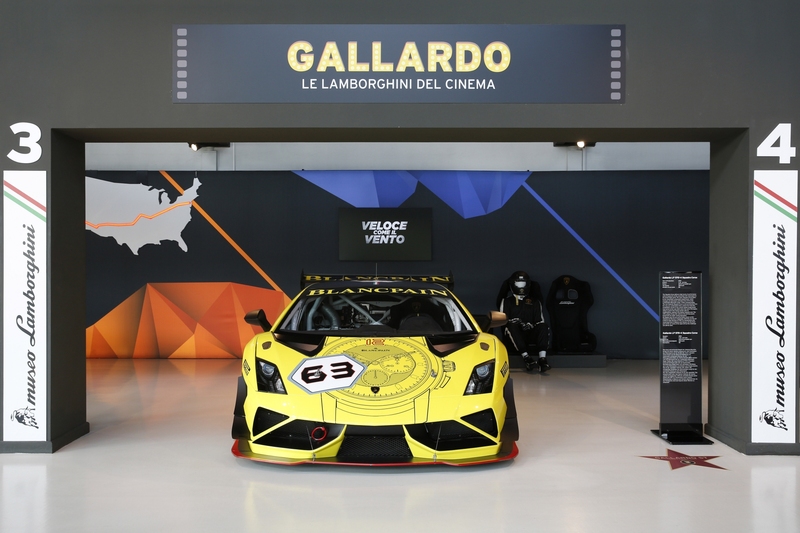 Vehicles that have made an impact in international films are also present like the Lamborghini Gallardo Super Trofeo that appeared in the 2016 Italian film Veloce come il Vento, by Matteo Rovere. It was driven by Giulia de Martino (Matilda de Angelis) with the help of her brother Loris (Stefano Accorsi) in the Italian GT championship. 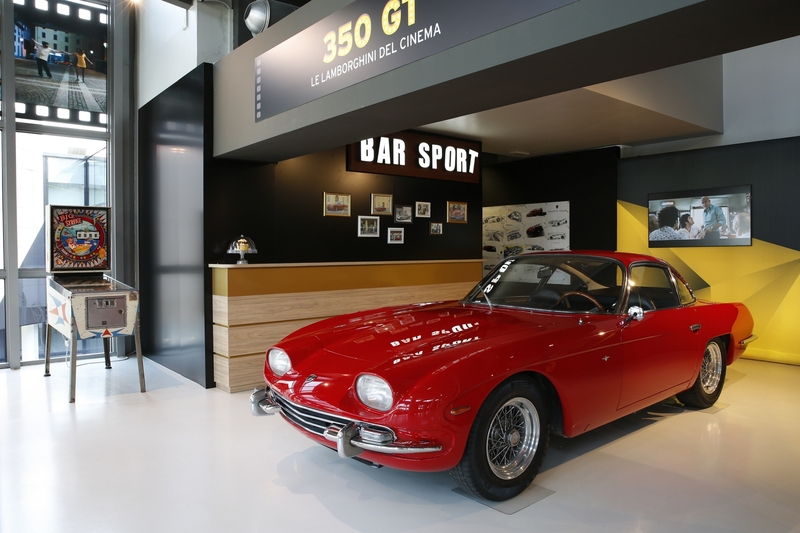 Then there is the red Lamborghini 350 GT from the film Bar Sport, a 2011 movie directed by Massimo Martelli filmed right in Sant’Agata Bolognese. Movie buffs can also challenge themselves with a quiz via a digital totem, in which they have to guess the two films in which the Lamborghini Centenario and the Sesto Elemento were used. 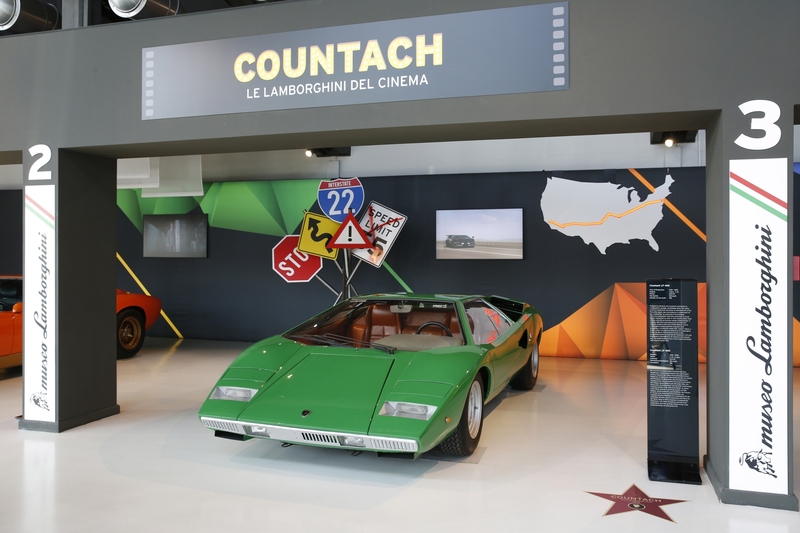 The exhibiting has been incorporated within the permanent collection of the Lamborghini Museum. It is opening to viewing from 9:30 a.m. to 7:00 p.m, through till Oct. 31.